You can watch the finals thanks to UEFA's broadcast partners and the live streaming of games. Holders Inter face their 2017 and 2018 final victims Sporting CP while hosts Kairat meet Barça in Friday's semis. Tickets for the UEFA Futsal Champions League finals at Almaty Arena on 26 and 28 April are now on sale. UEFA.com hears from the four coaches after the semi-final draw was made for the matches on 26 April at Almaty Arena. Almaty Arena will stage April's finals involving hosts Kairat, Barça, holders Inter FS and Sporting CP. Inter FS, Barça, Sporting CP and Kairat have reached April's finals after topping their groups. The elite round line-up is complete with the likes of holders Inter FS, Barça, Benfica, Sporting, Ugra and Kairat making progress. MVFC Berettyóújfalu will represent Hungary in the UEFA Futsal Champions League after ETO FC Győr withdrew. A total of 57 clubs have entered the rebranded competition and will be in the preliminary and main round draws at 14:15CET on Thursday 5 July. Watch the best of the action as the 2018 UEFA Futsal Cup champions were crowned in Zaragoza. Watch all the goals from the third-place play-off in Zaragoza. Inter FS made it five UEFA Futsal Cup victories in Zaragoza in the last of the 17 seasons before the relaunch as the UEFA Futsal Champions League. See how the all-Spanish second semi-final at the UEFA Futsal Cup in Zaragoza was decided. Watch the best of the action from the UEFA Futsal Cup semi-final between Győr and Sporting. Get the lowdown on the last four and all you need to know about the event in Zaragoza in the official programme. Tickets for the UEFA Futsal Cup finals at Zaragoza's Pabellón Príncipe Felipe on 20, 22 April are on sale. Juliano Belletti made the UEFA Futsal Cup draw descrbibed the tie between Inter FS and Barcelona as a "cracker" as he discussed his past in the sport - as a goalkeeper! Spanish co-hosts Inter FS and Barcelona will face off in the UEFA Futsal Cup semi-finals after being drawn together in the last four of this year's event in Zaragoza, while Győr face Sporting CP. The UEFA Futsal EURO is to be expanded to 16 teams and will become a tournament played every four years, starting from 2022. The 10,700-capacity Pabellón Príncipe Felipe in Zaragoza will host the UEFA Futsal Cup finals in April involving Spain's Inter FS and Barcelona plus Portugal's Sporting CP and Győr of Hungary. Holders Inter FS, two-time winners Barcelona, Sporting CP and Győr will contest the UEFA Futsal Cup finals in April after topping their elite round groups to make the last four. The UEFA Futsal Cup elite round runs from Wednesday to Sunday, with holders Inter FS and former champions Kairat Almaty and Barcelona among those chasing four available finals spots. A showdown between holders Inter FS and Kairat Almaty, with six UEFA Futsal Cup victories between them, is among the highlights after the elite round draw was made. Holders Inter FS and former winners Kairat Almaty and Barcelona all sealed berths in the UEFA Futsal Cup elite round as 16 teams survived the main round action. Inter FS start their UEFA Futsal Cup title defence while Kairat Almaty and FC Dynamo replay the 2013 final as the new-look main round is played from Tuesday. Futsal Minerva, Liburn, St Andrews, Regensburg, Mostar, Leo, Bielsko-Biała and 't Knooppunt won their UEFA Futsal Cup preliminary round groups to complete the main round line-up. The 2017/18 UEFA Futsal Cup kicks off on Wednesday with 32 of the record 56 entrants – including first Northern Irish entrants Belfast United – involved in the preliminary round. Holders Inter FS have been handed a trip to Slovenia while Kairat Almaty face FC Dynamo after the preliminary and main round draws were made involving all 56 entrants. A record 56 clubs have entered the UEFA Futsal Cup for 2017/18, and all will be involved in the preliminary and main round draws at 14:00CET on Thursday 6 July. The host teams of the eight preliminary round groups and the eight main round sections have been selected ahead of the first draw of the UEFA Futsal Cup season next month. The UEFA Futsal Cup is expanding for 2017/18 and we explain the changes to the format of a competition that will become the UEFA Futsal Champions League in 2018/19. Inter FS became the first four-time UEFA Futsal Cup winners in free-scoring style in Almaty: watch highlights of all the finals games and see how it unfolded in photos. 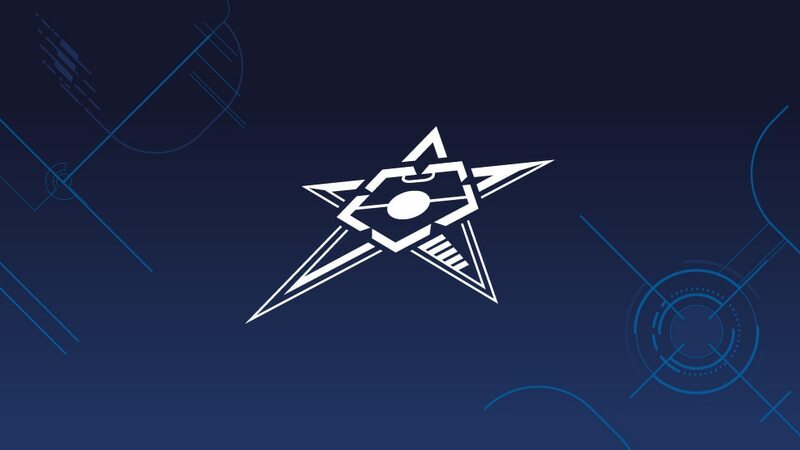 Watch the highlights as UEFA Futsal Cup hosts Kairat Almaty beat Ugra Yugorsk on penalties for third place after a 5-5 draw. Ricardinho inspired Inter to their fourth UEFA Futsal Cup final victory and ended as top scorer at the finals in Almaty, while five others shared the honour for the season. Sporting CP 0-7 Inter FSInter eased to a comprehensive victory in Almaty to seal their fourth UEFA Futsal Cup, two more than any other club. Ugra Yugorsk 5-5 Kairat Almaty (Kairat win 3-2 on pens)The hosts took bronze after a dramatic encounter, with Douglas Junior the shoot-out hero. Inter secured their fourth UEFA Futsal Cup title in emphatic style, beating Sporting CP 7-0 in Almaty. Relive all the action in the UEFA.com MatchCentre. Can record three-time winners Inter FS triumph in their seventh final or will Sporting CP emulate Benfica in 2010 by beating the Spanish giants? The lowdown on Sunday's Almaty decider. Inter FS 3-2 Kairat AlmatyOrtiz turned in a corner from two-goal Ricardinho with 78 seconds left to send Inter into Sunday's final with Sporting CP. Ugra Yugorsk 1-2 Sporting CPAlex Merlim and Dieguinho get the second-half goals as Sporting beat holders Ugra to Sunday's final. We preview Friday's two semi-finals as holders Ugra Yugorsk face former runners-up Sporting CP and three-time winners Inter FS meet hosts and twice champions Kairat Almaty. With the finals kicking off on Friday in Almaty, we give you the key pointers as hosts Kairat Almaty, Inter FS, Sporting CP and holders Ugra Yugorsk compete for the European club title. The finals take place in Almaty on Friday and Sunday, and we profile the four teams going for glory: holders Ugra Yugorsk, Sporting CP, three-time winners Inter FS and hosts Kairat Almaty. Kairat Almaty's outfield-friendly goalkeeper Higuita has been key to their two UEFA Futsal Cup triumphs – and he is determined to help them make history this weekend. The 2017 UEFA Futsal Cup – involving Inter FS, Kairat Almaty, Sporting CP and Ugra Yugorsk – kicks off on Friday. Find out how to watch the tournament where you live. Andrey Ashavin now plays in Almaty, the city which is hosting this week's UEFA Futsal Cup finals, and the former Russia winger speaks about why he loves the small-sided sport. Get the lowdown on the last four and all you need to know about the event in Almaty in the official UEFA Futsal Cup programme, available to download here. The UEFA Futsal EURO is to be expanded to 16 teams, Women's and Under-19 Futsal EUROs launched and a UEFA Futsal Champions League is to replace the UEFA Futsal Cup. With the UEFA Futsal Cup finals now just a month away, we catch up with the four contenders to bring news of yet another title for Kairat Almaty and silverware for Inter FS. The UEFA Futsal Cup semi-final draw has been made, with hosts Kairat Almaty up against three-time winners Inter FS and holders Ugra Yugorsk taking on Sporting CP. The UEFA Futsal Cup finals draw is made at 10:45CET on Saturday at Almaty's Central Stadium and we see how the four contenders are getting on as April's event nears. Ricardinho knows it will be tough for Inter FS in April's UEFA Futsal Cup finals and says his Portugal colleagues need to follow his example if their national fortunes are to improve. Kairat Almaty have been picked as hosts of the 2016/17 UEFA Futsal Cup finals in late April at the new 12,000-capacity Almaty Arena on 28 and 30 April.